Imagine three wheelchair racers setting and completing a truly audacious goal: Finishing 50 marathons in 50 states in 50 weeks. Travel with me and my fellow racers to the first 14 marathons in a journey that’s as life-changing as it is inspiring. 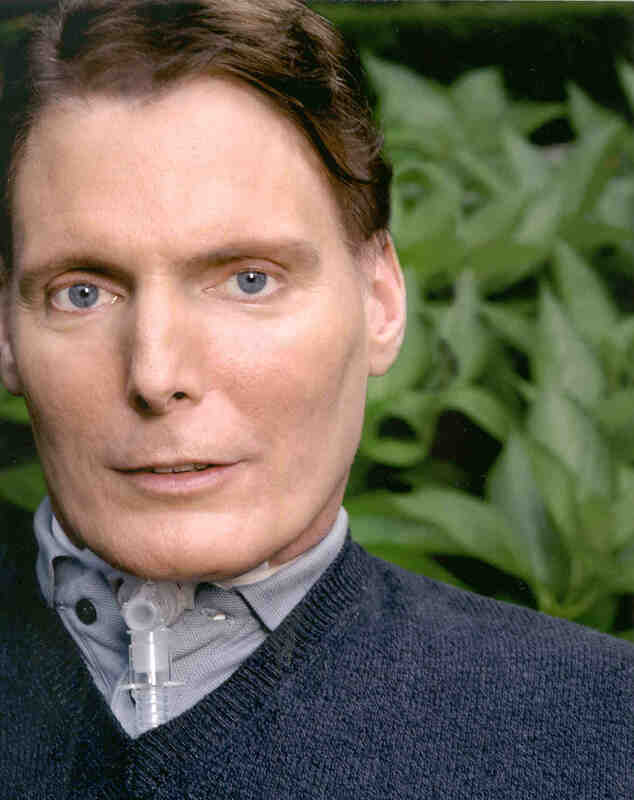 While my story is unique and born from tragedy – suddenly paraplegic at 21 after a car accident – the insights and attitude are instructive to us all, regardless of our abilities or disabilities. We find solutions and positivity in every challenge, and teaches readers to first do three things when adversity strikes: 1) Overcome your fears. 2) Take control of the situation. 3) Then take an unbelievable ride, and experience a journey you never imagined. What to one person might be a handicap is to me an avenue to new possibilities. 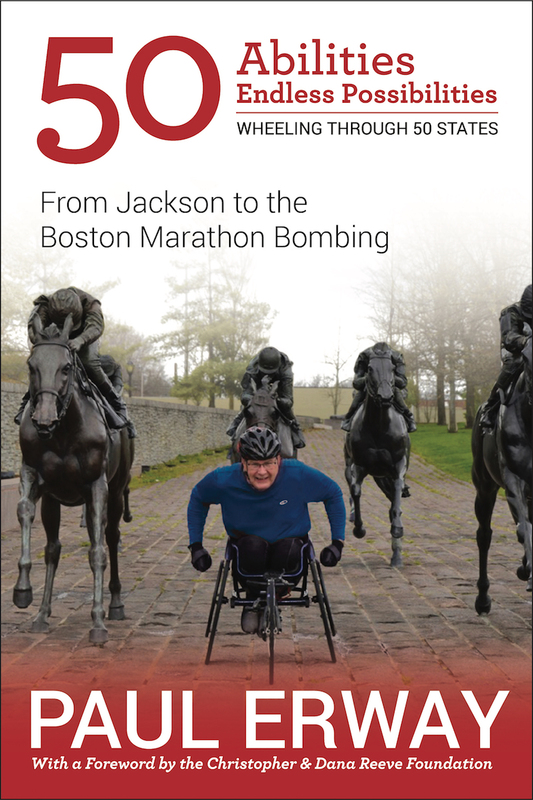 In this debut book, I recount the planning and excitement of the bold mission to complete 50 marathons in 50 states across 50 weeks. We share the grueling moments, the surprising lessons, the exhilaration of finish line after finish line, and the amazing people he met along the way. A group of individuals came together with a good idea to not only help others, but raise awareness for our cause – for spinal cord injury survivors. By competing in actual sanctioned marathons, these wheelchair athletes take the opportunity before each event to reach out to the local hospital or rehab center in that area about spinal cord injury survivors, research and treatment. There are 1.3 million people living with spinal cord injuries, more than 5 times the number of Americans previously estimated in 2007. The marathon moments allow the racers to express gratitude to therapists since they know personally how much spinal cord injury victims appreciate their help and encouragement. Those visits to hospitals and rehab centers also give the athletes a chance to visit with patients. These athletes know what it was like to hear the words “you will spend the remainder of your life in a wheelchair.” They know how devastating that can sound. Yet they also know life goes on. 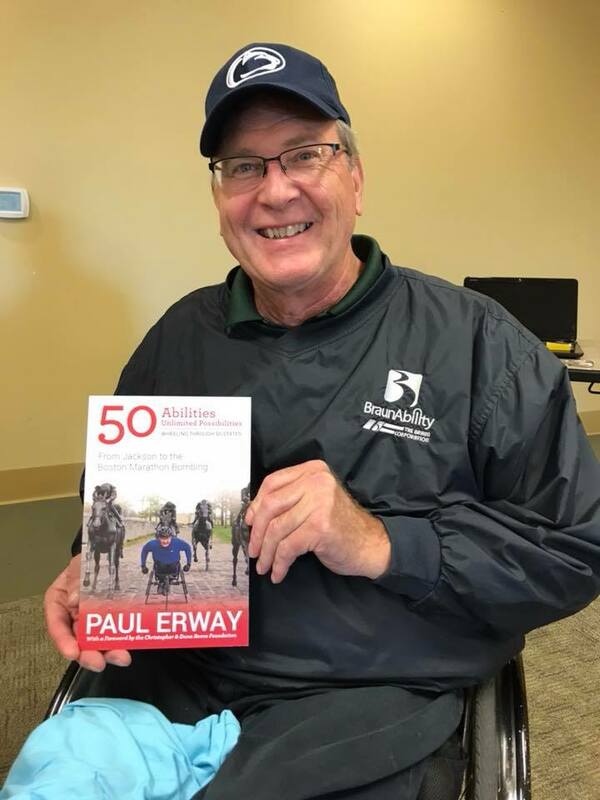 Paul Erway started riding horses at an early age, growing up on a farm in Pennsylvania. The vocation that this three-sport high school athlete dreamed of was attending Morrisville (N.Y.) State College to pursue a degree in animal husbandry. During his college days, he was an apprentice at one of the top Reining Stables in the nation under the guidance of Terry Thompson. His vision of the future was to become a trainer for show horses. The weekend before graduation in 1980 changed that vision. While on a double date, Paul received a severe spinal cord injury as a result of an auto accident that left him paralyzed from the chest down. The doctor who performed the surgery told Paul that he would use a wheelchair the rest of his life and that he would “need to deal with it.” Thank goodness the rehab doctor came into his room the next day to give Paul the hope that maybe he would have a chance to gain some movement back, but until that day occurred, turn his attention and efforts toward rehab to strengthen his upper body. After two years, he was stronger but no further movement was gained and the margin remained slim that it would ever happen. Paul realized he was now on a new ride – in a wheelchair that could take him places other than what he initially had in mind. That’s just how powerful this man’s resolve to live is and even though he has no feeling below his chest, the fire to live and to push himself burns brightly in his heart.